Likud fires back at opposition leader after his call for Netanyahu to be removed as Communications Minister. Opposition leader and Zionist Union chairman Yitzhak Herzog on Monday contacted Attorney General Avichai Mandelblit through his lawyer, demanding that Mandelblit remove Prime Minister Binyamin Netanyahu from his post as Communications Minister. 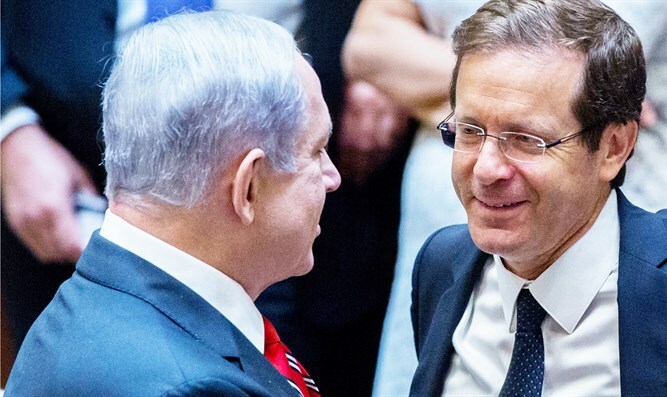 In the letter, Herzog announced that if Netanyahu is not removed from his post as Communications Minister, the Zionist Union will appeal to the Supreme Court on the matter within 48 hours. The letter comes following Sunday’s publication in Israeli media that police had obtained an audio recording of a conversation between Netanyahu and businessman Arnon (Noni) Mozes, publisher of the Yedioth Ahronoth newspaper, Israel Hayom’s main competitor. In that recording, Netanyahu and Mozes allegedly discussed a deal whereby Yedioth would receive a significant financial advantage, and in return Mozes would change the rejectionist line that his newspaper has led against the Prime Minister. The deal may have possibly involved shutting down parts of Israel Hayom, which is owned by American-Jewish casino magnate Sheldon Adelson, a close associate of Netanyahu’s.